In India, the sector has made immense strides in recent times courtesy GST, relaxed FDI regulations, major investments in infrastructure development-across all modes of transportation-and increased technology adoption. Speaking to The Hindu, K. Ravichandran, senior vice president, ICRA explained that infrastructure industries not only get longer maturity loans compared to typical manufacturing sector but the lending terms are typically easier. Logistics companies will now also enjoy the option of refinancing with specialised lenders like IDFC & IIFCL. Moreover, the infrastructure status will give them access to cheaper foreign currency funding through the external commercial borrowing (ECB) route. The logistics spend in India is almost 13% of the GDP, compared to well below 10% for the advanced countries, claimed Pirojshaw Sarkari, CEO, Mahindra Logistics, in an interview to ET Now. This high logistics cost added to the cost of Indian goods, making them less competitive in domestic and international markets. But with GST coming in, and the above-mentioned easier access to capital and long-term borrowing, large format warehouses will soon crop up across the country. This will eventually bring down the cost of logistics, which, in turn, will boost demand for Indian goods and further the Make in India cause. The domino effect would also lead to job creation. According to the government notification, logistics infrastructure will include Multimodal Logistics Parks comprising Inland Container Depot (ICD) with minimum investment of Rs 50 crore and minimum area of 10 acre, cold chain facilities having an investment of at least Rs 15 crore and minimum area of 20,000 sq ft, and warehousing facilities with investment of a minimum Rs 25 crore and over 100,000 sq ft area. Industry insiders predict that this will attract a great deal of private investment in the sector. Giving a thumbs up to the announcement, several major logistics firms were trading at a premium this morning. 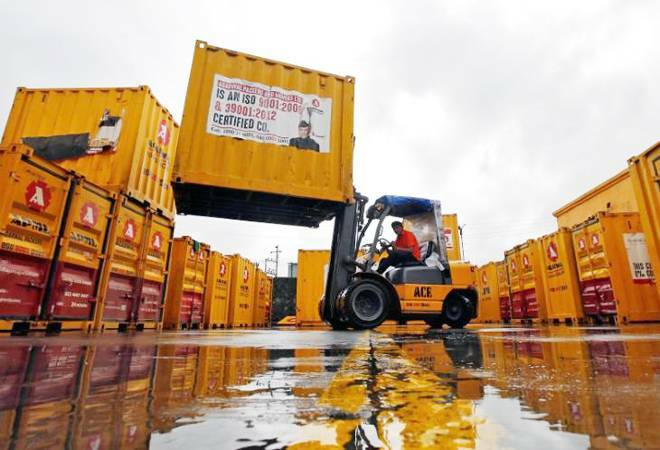 At 12.35 p.m., shares of Allcargo Logistics and TCI Express were up 2% compared to their previous day closing price, while Mahindra Logistics was up 3% and ABC India shares surged 4%. This are certainly looking up for logistics players. Is Hyundai testing Santro 2018 in India ahead of launch at Auto Expo 2018?